Reppio is a free local marketplace built for people who care about safety and convenience. Users are all assigned a “Rep Score,” which is a quick way to assess credibility. Rep Scores are determined by careful verification of each user’s social footprint, and increase as they list/sell/buy items successfully. 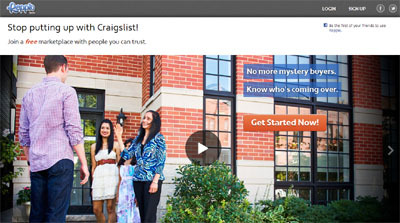 We eliminate the mystery of anonymous classifieds – you know EXACTLY who you’re dealing with. We save you time by allowing you to manage all of your buying and selling in one place. Buyers know the relevant facts about an item such as condition, price, location, and the seller’s track record – all before sending a single message. Sellers can easily create high-quality listings on Reppio and share via email, Facebook, Twitter and other classifieds, with a single click.